A Web directory is a listing of Web sites organized in a hierarchy or interconnected list of categories.Directories are a kind of website which are used to store businesses and their information. You have seen telephone directory, just like that these are business directories. In telephone directory you can find any number by name. Same here, you can find any business and information about business. In these directories, businesses are listed in relevant categories. So if you want to get backlinks for your site then you have to submit your website or blog in web directory in suitable category or subcategory with some details.But while sending links to business directories, it is essential to calculate PA/DA of that site. The main reason behind such approach is to ensure that directories are of high quality with less spam links which therefore ensures Google crawlers to identify your site. Some web directories are so active and because these directories are popular and usually have quality blog submissions these are the best (and easiest) places for businesses to look for paid review postings.Since you are a member of these directories your website is visible to these brands. The chances are higher you get business opportunities from them like sponsored reviews or banner advertisements on your blog. 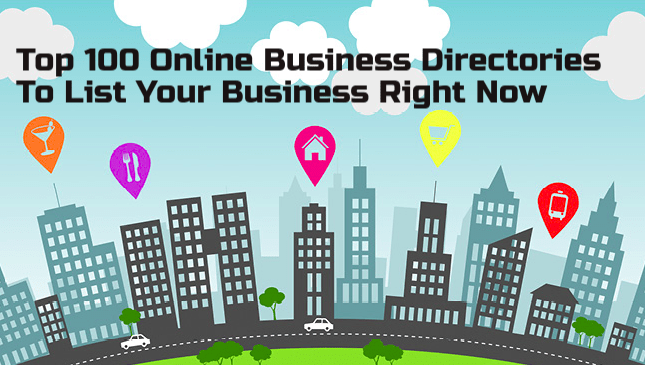 Following are the list of popular Business Directories To List Your Business to get instant backlink for your website or blog.